The ADAC (D), OEAMTC (A) and TCS (CH) have published the results of the Winter Tire Test 2011 on their homepages (www.adac.de / www.oeamtc.at / www.tcs.ch ). Result for the ContiWinterContactTM TS 830: "GOOD". In its winter tire test 2011, the Stiftung Warentest (D) tested various winter tires of the size 195/65 R15 T. The test is based on the test results of the automobile clubs ADAC (D), ÖAMTC (AT) and TCS (CH). Result for the ContiWinterContactTM TS 830: " GOOD "
The German magazine AutoBild has published its 2010 winter tire test (Oct. 2010). The test size was 195/65 R 15 T/H. 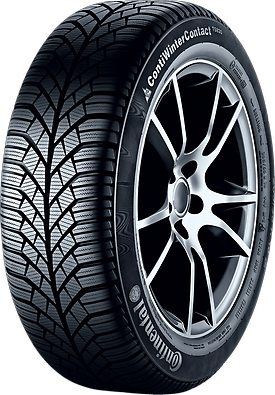 Result for the ContiWinterContactTM TS 830: "Highly recommended"
The German Auto Motor und Sport has published the Winter Tire Test 2010 (Sept. 2010). The test size was 205/55 R 16 H on a BMW 3-series. The German Auto Zeitung has published the Winter Tire Test 2010 (Sept. 2010). The test size was 195/65 R 15 T on a Ford Focus. Result for the ContiWinterContactTM TS 830: "Testwinner"
In its September issue, auto motor und sport (D) published its winter tire test. The test size was 205/55 R16 H. Test vehicle was a VW Golf VI. In December 2009, the French magazine Auto Plus has published the results of a winter tire test.The test size was 205/55 R16 H, carried out on a Peugeot 308. In November 2009, the Polish magazine Motor has published the results of its winter tire test 2009. Result for the ContiWinterContactTM TS 830: " 1st place "
In November 2009, the Czech magazine Autoklub has published the results of its winter tire test 2009. Result for the ContiWinterContactTM TS 830: " 100%, rank 1"